Sometimes I get an idea for a scrapbook layout about pictures that are a few years old. I don't always love the look of these shots that I took before I really got into photography. That's where instagram comes in. Seriously, it makes everything look better! I had some pictures of my boys biking when they were 12 and 14 back in 2009. For fun, I ran them through instagram and added the Earlybird filter... my personal favorite. They are sized at 2.75" square. I love the look of them on the page! 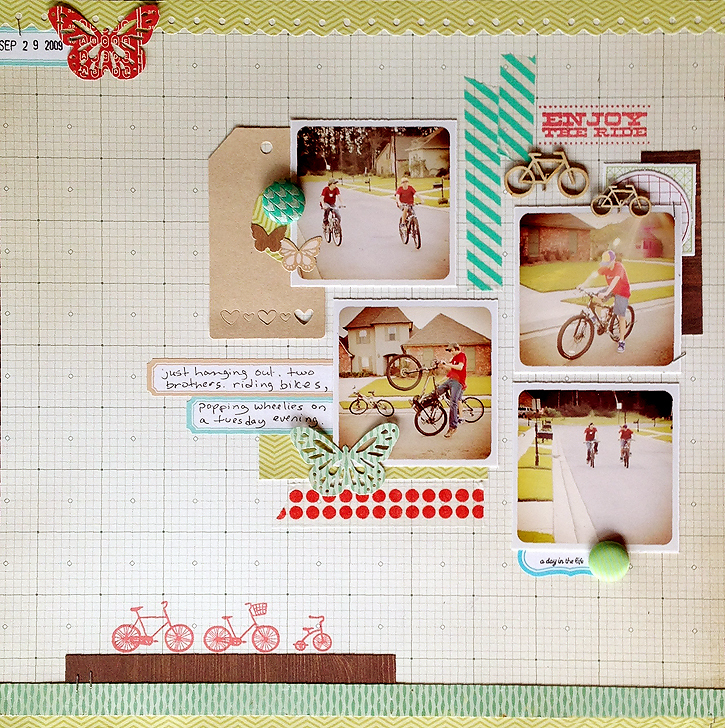 This layout was made mostly with the Studio Calico April kit, City of Lights. It's not available anymore, but click here to see the contents. I always apply a texture or filter to pics that are not full quality and sometimes they turn out perfect! love the butterflies! Great page ... I haven't tried Instagram yet .... should I? I've not even tried instagram yet - I still carry a point and shoot with me despite having a phone in my pocket. Lovely to see how a great layout and a few filters can transform those shots. Just saw this LO on Pinterest, it's gorgeous! And I do exactly like you, Instagram is great to give a new look to old pictures! this is such an awesome layout! so glad it was featured at studio calico! 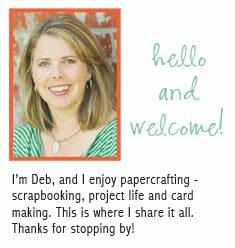 AWESOME layout Deb!! I love the idea of using Instagram to make older photos look better!! Great tips!!! I started following you! I'm AshleyElaine85. buy real instagram comments You'll have to request to follow me (but I'll approve!) because I'm teacher and I gotta be careful about what my students can see!